David O’Brien is a Poet/Philosopher/Radio Host/Mentor. He was born on the 14th November 1957 in Adelaide, South Australia. He, his brother and two sisters spent all of their childhoods in orphanages. Abandoned at the age of one, his life entered the realms of aloneness none of us want to experience. His early life within Catholic Institutions was the platform for a life of searching for the destabilizing components of the ‘Male Mythos’. His search has led him into most realms of experiential theory and further into the evolutionary cycles of humanity. His ‘POESIS’ or ’lifes work’ is to attain gnosis through experiencing the human condition in all of its failures. Once an experienced bank of knowledge has retained itself within the conscious mind, it opened up the doorways into the subconscious. In accessing the subconscious mind through a level of experience, self-programming becomes identifiable and apparent. Most, if not all of humanity will never need to enter these realms of solitude. The innocence of virtue being thrown into the darkness of a religious culture, which at the time was preparing to destroy the family from within. Being a social outcast in the late fifties, in a religious institution with carers who were cut off from their sexuality, was the formula for this destruction to takes it toll on a global scale. His life of poetry has been evolving for 33 years. Words were an essential and viable tool to recreate the harmony taken away from him at such an early age. Words that came from within. Nurturing words made themselves known to him from the depths of his psyche we dare not access, or neither have access till later on in our lives. This understanding of deconstruction is prevalent in his poetry. It is a logbook of release from the constraints of oppression. 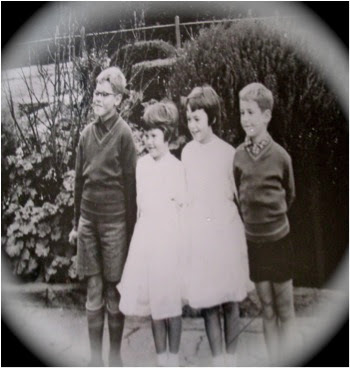 In the advent of the late fifties, David and his three siblings found themselves abandoned by their parents at the ages of 3 months (Nannette), 1 year old (David) / 2 years old (Gail), 3 years old (Stephen) in a council house in Queenstown, South Australia. There was mention of a huge fight where both the parents left the house and went their separate ways, never to return. Three days later after the smell of four young children in a house by themselves aroused the neighbors, they entered the house and the children were taken into state custody then processed and made ‘Wards of the State’ of South Australia. Their Mother did not try to reclaim her children. Their father however was lurking around the young children after he had institutionalized them. The fathers’ constant degradation and sexual abuse as a child by the Clergy while a student at Kings College in Meerut, India during the course of his childhood was the foundation in which he sexually abused all his children and many others whom he came in contact with. Many efforts were made to incarcerate the father but none were successful. His adaptation to hide from the carers of these Orphanages was tantamount in them allowing him to pick each child up separately from two institutions on a weekly basis and hiding their sexual and physical abuse for many years. As Adelaide, South Australia was filled with rather a large number of Institutionalized Religious Care Facilities precipitated by most if not all religious organizations in creating empathic environments for the public to be more welcoming for Religious Organizations to participate, on a Community level, in the caring of the young abused and abandoned children who were victims caught up in a fundamental pandemic of Family Dysfunctionalism which was at that time in the early 60’s were of Global proportions. It led to the One Parent Family Syndrome, of which now it has reached global epidemic. David spent 17 years institutionalized with the Roman Catholics from the age of one. 12 years in an Orphanage with his brother and 5 years in a Catholic boarding school. They were ostracized from each other and separated from his two sisters for years at a time. His understanding of FEAR and willingness to share his knowledge for the sake of living a well-balanced and spiritual life is what he does best. In what could have been a complicated life, there was protection and space to be an observer of the calamity which was taunting our communities, the fear which had caused men to create self imposed prisons, and the disrespect people had for the Divine Feminine, and the way each carried out the Church's campaign to demonize women. It is now, 50 years later that he finally lets his observations be known. What better way to observe this world than from the poetic heart of our Divine Inspiration. It is now that his words need to be read. As we weave ourselves through an untendered landscape filled with deceit and treachery many souls will be given as sacrifice to this illusory beast. So now we mop up the tears of our fathers who were bastardized for the sake of living soulless lives here on this beautiful planet. This is not the way MEN should live.